Tongsheng TSDZ2 42T electric bicycle central mid motor conversion ebike kits with torque sensor, 6V light included,WITH XH18 DISPLAY. 1.48V 750W TSDZ2 mid drive motor with torque sensor. Comfort ride,high efficiency,low battery consumption and longer range. BLDC BRUSHLESS DC MOTOR 48-72V 500-3000W. High efficient brushless motor for Electric car, electric motorcycle. -Small Vehicle：E-bike, E-motorcycle, Golf car, Sport car, cleaning car E-car etc. 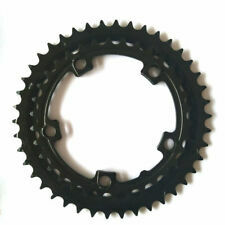 Sprocket CNC machined 8T type 420 Pitch 12.70mm. NEW VERSION TSDZ2 Torque Sensor Central Motor. Power: 350W. No Brake Grid. Power: 350W;. Chainwheel: 42T;. Maximum Torque: 80N. HOW DO I KNOW IF THE MID DRIVE CONVERSION KITS WILL FIT MY BIKE?. Push motor BB axle into BB tube,the exxposed axle length on left side is 11mm(Put securing plate onto BB axle, Put 2 washers between motor and securing plate,Tighten the securing plate and the motor with two m5 6 screws). Risunmotor Black 36/48V 1000W Brushless Gearless Hub Motor for Rear Wheel Electric Bike. Motor Type: Brushless Gearless Hub Motor. Power: 1000W. Hub dropout width: 100mm front or 135mm rear hub motor(with 7-Speed Freewheel). Brushless Gearless Hub Motor, Front Wheel Motor. Motor Net Weight: 6.20kg. NOTICE: Price is ONLY for the hub motor. Hub Dropout Width: 100mm. Motor Type Speed: 350 RPM. Magnet Body Size: 13.65mm x 3mm x 30mm. New Style Black 48V 1200W Brushless Gearless Hub Motor for Front Wheel. Motor Type: Brushless Gearless Hub Motor. Power: 1200W. Hub dropout width: 100mm front hub motor. Motor Color: Black. Motor Net Weight: 7.2kgs. Power: 750W3. Motor Weight: 4.2kgs 4. BB Length: 68mm-73mm5. Working Temperature of Dsplay: - 20- 806. Waterproof Grade: IP65With an integrated speed sensor, this mid-drive motor, which is compatible with a 68mm-72mm bottom bracket, has a rated power of 750W, a reduction ratio of 1: 21.9 and a maximum torque of 160 N.m, will provide the rider with great explosive force when starting the system. 48V600W DC brushless gear motor,hull. motor:brushless hall motor,AL shell,steel gear. rated speed:3000rpm. hipping choice. 24V/36V/48V 250W Electric Bicycle Brushless Gearless Mini Hub Motor. Brushless Gearless Mini Hub Motor, Front Wheel Motor. Motor Net Weight: 4.45 kg. New Style E-Bike Front Wheel Motor Support Disc Brake. NEW VERSION TSDZ2 Torque Sensor Central Motor. Power: 750W. 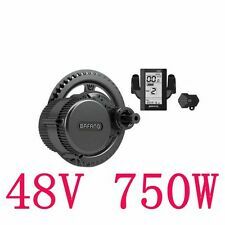 Power: 750W;. Maximum Torque: 80N. HOW DO I KNOW IF THE MID DRIVE CONVERSION KITS WILL FIT MY BIKE?. High efficiency, low battery power consumption, safety long riding. TSDZ2 Torque Sensor Central Motor. Power: 500W. With Brake Grid. TSDZ2 Central Mid Motor With Torque Sensor,36V 500W 42T Conversion Ebike Kit. Power: 500W;. Tighten the bolt with 40nm torque force,tighten with affiliated wrench by over 40n. Brushless Gearless Hub Motor, Rear Wheel Motor. Motor Net Weight: 7.20kg. Hub Dropout Width: 145mm. NOTICE: Price is ONLY for the hub motor. Motor Type Motor Color: Black. Speed: 600 RPM. Available Wheel Size: 20", 24", 26",700C, 28", 29". 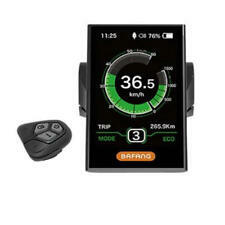 36V 500W 8Fun/Bafang BBS02 Crank Motor Eletric Bicycles Ebike Kits With C965LCD. Power: 500W. Motor Weight: 4.2kgs. Cadence ( Pulses / Cycle ) Price is ONLY for the hub motor, Freewheel is not included! Cabling: shaft center, right. Also note that monitor settings may vary from computer to computer and may distort actual colors. New Version Bafang 8Fun BBSHD Mid Drive Central Motor,48V 1000W Conversion DIY Ebike Kit,6V light included. Power: 1000W. With an integrated speed sensor, this mid-drive motor, which is compatible with a 68mm-72mm bottom bracket, has a rated power of 1000W, a reduction ratio of 1: 21.9 and a maximum torque of 160 N.m, will provide the rider with great explosive force when starting the system. Threaded Brushless Gearless Hub Motor, Rear Wheel Motor. Motor Net Weight: 6.20kg. Hub Dropout Width: 135mm. NOTICE: Price is ONLY for the hub motor. Available Speed Gear: 7-Speed. Motor Type Motor Color: Black. Brushless Gearless Hub Motor, Rear Wheel Motor. 36V or 48V. Motor Net Weight: 6.20kg. Hub Dropout Width: 135mm. NOTICE: Price is ONLY for the hub motor. Motor Type Motor Color: Matte black. Available Wheel Size: 16",18", 20", 24", 26",700C, 28", 29". Operation: Pedal Assist. The motor owns strong climbing ability and the reduction ratio has reached up to1:13.5. 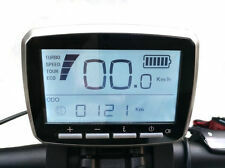 After installation on the bike very difficult to distinguish whether it is an electric bike. Brushless Gearless Hub Motor, Front Wheel Motor. 36V or 48V. Motor Net Weight: 6.20kg. NOTICE: Price is ONLY for the hub motor. Hub Dropout Width: 100mm. Motor Type Speed: 480 RPM. Magnet Body Size: 13.65mm x 3mm x 30mm. 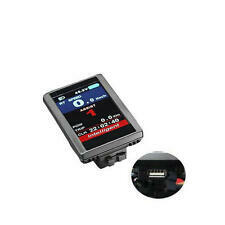 Tongsheng TSDZ2 Mid Drive Motor VLCD-5 LCD Display. For singgle speed cycle chain(410). Motor cable with 9 pin waterproof connector, male and female, waterproof cable for motor. Total Cable length: 100Cm. If you have any problems, we are willing to help you. We will do our best to resolve your problems asap. 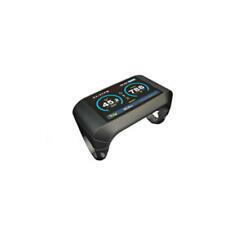 Support Regenerative Function (must use our LCD Display together to active this function). 1 yearquality warranty. Rated Current：13A. Maximum current: 45A±1A;. 18 pcs MOSFET. Housing color: aluminum natural. Rated current: 22±1A;. Weight: 750g.